Just 2 more weeks until Thanksgiving - yay! I think I'm officially in the holiday spirit right now! 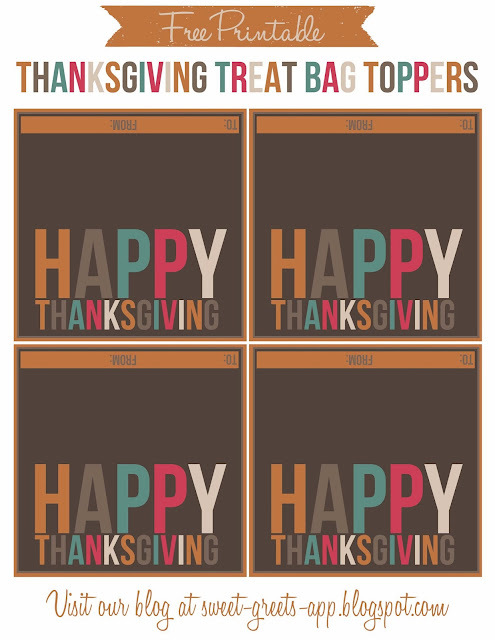 I have a special Thanksgiving freebie for you - a set of 4x4 inch printable treat bag toppers for classroom parties, gift giving, etc. Just click the image above to download. Happy Thanksgiving!